What makes me celebrate 2 years of Blogging is not the numbers; I am yet to achieve those bragging figures, but the lessons learned. Its better to write when the muse strikes. Write what you feel like and not what’s Viral; It makes you feel content and happy. Comments are the best way to measure the health of Blog. Keep experimenting with the writing style. Believe and propagate what you write. Well, the answer is – YOU, lovely readers. You all give me the reason to continue with your shares and invaluable comments. 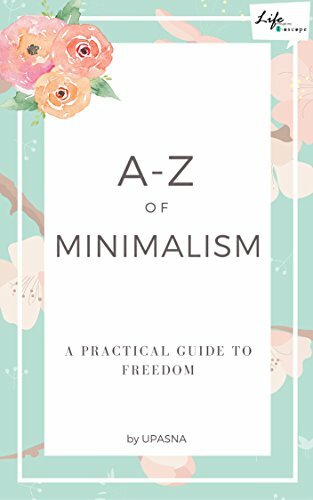 Not only this, it helped me discover my niche and gave birth to my new Blog – Comeback Minimalist. I designed this Logo myself. Do you like it? The one who said – “A blogger dons multiple hats” was not wrong. We design, write, edit, manage, market our Blogs- not forgetting “reading other Blogs”. Keep showering love with your presence, dear readers. You can also connect with me on – Facebook, Twitter, Linkedin and Instagram. wishing you many more happy moments ahead in writing. Congrats. It’s great to hear that you have completed 2 years. I know it’s not a joke. Congratulations on turning 2.. now triple the fun. Congratulations on your blog’s 2 nd Birthday, Upasna. You have achieved a lot in just two years. Here’s to many more years of blogging. ???????? I have cut-down a lot in the last 6 months or so…spending more time tracking Stock Markets now.